Between 1906 and 1909, Mr Herbert Hall Mulliner, managing director of Coventry Ordnance Works, claimed that Germany was secretly, vastly accelerating its naval programme. The scare stimulated massive naval expenditure, created an atmosphere of mutual suspicion, and so contributed to the impetus to war. It was later admitted by Winston Churchill that the claims were entirely false. In May 1906, Mulliner, alarmed at low naval estimates and slackness of work in Coventry Ordnance Works, informed the Admiralty that he was ‘performing the public and patriotic duty’ of warning them that the German firm, Krupp Works, had begun a secret policy of rapid naval expansion. British admiralty practice was to maintain a ‘Two-Power Standard’: i.e. a navy capable of outgunning the combined strength of the next two greatest naval powers. Yet this was also a time when government priorities were changing. At the end of 1905, the Liberal Party had swept into office with a mandate to bring about social reform. After much heated debate in parliament, they voted to vastly reduce the shipbuilding programme and use the funds to deal with the problems of poverty, unemployment, old age and education. (Read more about military spending debates here). At this time, things were not going well for Mulliner’s firm. Any orders being placed were going to the larger firms of Vickers and Armstrong. Coventry specialised in gun-mountings and Mulliner had recently invested in a big gun manufacturing plant, which was now lying idle. He urgently needed to get some orders. 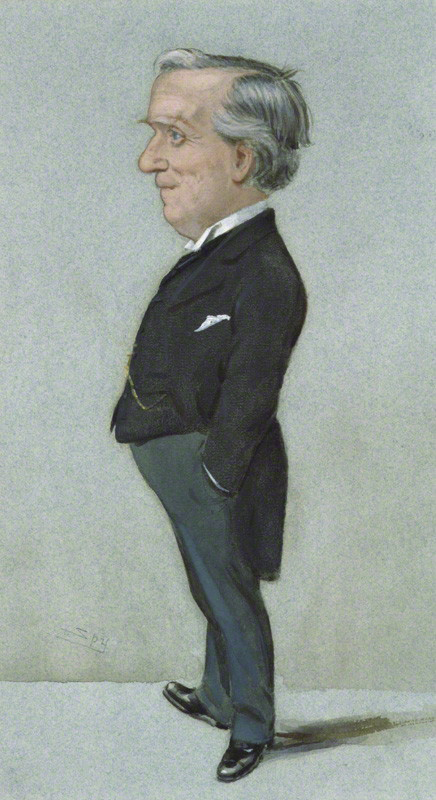 He embarked on a relentless campaign throughout the next three years, insisting on the urgent necessity for more warships, and claiming that ‘the naval policy of the government was nothing less than a gigantic mistake, the possible consequences of which are almost too dreadful to contemplate.’ His campaign came amidst an atmosphere of paranoia, when anyone who questioned the validity of the naval race was dismissed as a ‘grumbling pacifist.’ Robert Blatchford, a journalist on the Daily Mail, fanned the flames of the controversy throughout 1908, reporting massive increases in German warship building, and warning that ‘the Germans are preparing to invade us at the first opportunity.’ His articles were widely distributed and had a big influence on public opinion. She is doing so secretly. She will certainly have thirteen big ships by spring 1911. She will probably have 21 big ships by spring 1912. Asquith, though he had been voted in on a ‘pledge of peace and retrenchment,’ obviously took this very seriously. On 23rd February 1909, he called a meeting in his rooms at the House of Commons with Reginald McKenna, 1st Lord of the Admiralty; Sir Edward Grey, Foreign Secretary; Admiral Jellicoe, 3rd Sea Lord; and Lloyd George, Chancellor of the Exchequer. The very next day, Mulliner met Admiral Ottley, and the news he had to tell him – that he had ‘evidence’ the German firm, Krupp, had hugely increased its manufacture of naval guns – must have been music to his ears. Ottley was director of Naval Intelligence, but he had also been employed at Armstrong and may still have been a shareholder. That this meeting had a profound effect on government policy was immediately evident. A mere ten days later, the naval estimates were published showing an increase of £2,823,200. It was announced that four Dreadnoughts were to be built immediately, with a footnote in the estimates for a further four, if fears about German acceleration proved justified. Public pressure for these ‘footnote four’ was mounting. The MP for Dover, Mr. Wyndham, invented the slogan: ‘We want eight and we won’t wait’, which whipped up public anxiety, and was soon resounding in music halls across the country. 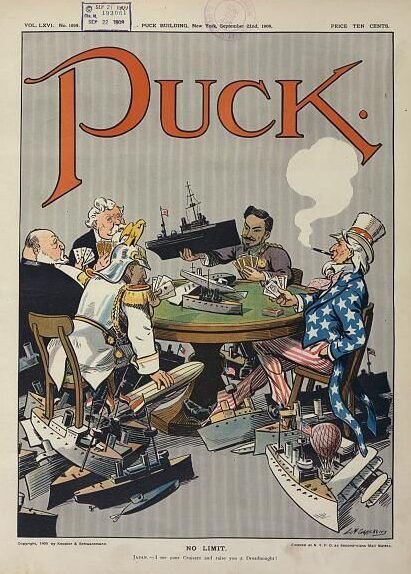 On 29th March, the annual debates on naval estimates began. Despite the enormous increase in proposed expenditure, Conservative Arthur Balfour warned that national security was at risk, insisting that Germany would have 25 Dreadnoughts by March 1912, even though the German Admiral, Alfred von Tirpitz, had assured Britain that they would only have 13 by that date. After the war, naval records revealed that Germany had in fact only had nine Dreadnoughts at that time. A couple of days later, Balfour, who was coincidentally, but not insignificantly, an important shareholder in Coventry Ordnance Works, addressed a crowded meeting of shareholders at Guildhall. ‘You must build now to meet the present necessity,’ he said, ‘for believe me, the necessity is upon you.’ In Parliament, resistance to the naval build-up collapsed and on 26th July 1909 the ‘footnote four’ Dreadnoughts were voted through by 290 votes to 98. Although contracts from the Admiralty had been assured, these were still not forthcoming for Coventry Ordnance Works. The government could not be seen giving orders to a firm whose managing director had so publicly lobbied them. Mulliner had become an embarrassment. His resignation was accepted, and he was given a very handsome payoff. 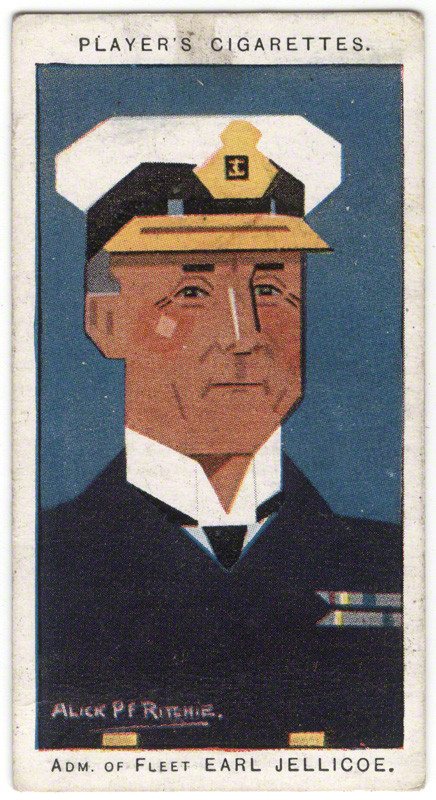 He was replaced by Rear Admiral Bacon, and it was not long before Coventry began to receive big orders. Mulliner should have gone away quietly to enjoy his new-found wealth, but he had made no promises to keep out of the public arena. In August he began writing an endless stream of letters to the Times newspaper, accusing the government of ‘culpable or criminal neglect’ and spelling out his exhaustive campaigning and his visit to Downing Street in his ‘Diary of the Great Surrender.’ He finally avowed publicly his share in the propaganda – to his own undoing. It was not long before the exaggerations made by Mulliner became evident. A Times article from 4th January 1910 confirmed this and quoted from the official German naval figures supplied by Mr. John Leyland. The scandal was quoted in Parliament many times during the following decades. When Churchill announced the naval estimates for 1914, Philip Snowden of the Independent Labour Party made a lengthy and eloquent reply. He pointed out the dangers of international armament rings, which increased the possibility that armaments built by British firms abroad could end up killing British servicemen. Whitehead torpedoes had been made using British capital, but were loaded into German U-boats to be used against British ships. A further irony in this was that Vickers owned a quarter of the shares in Whitehead, which was making torpedoes to destroy the ships built by Vickers. Read more about arms company exploits before and during the war in the Vickers & Krupp and the Ottoman Navy Scandal case studies. The arms industry exists to sell weaponry. If it is allowed to sell to opposing countries, it will, whether those sides are in tension or actual conflict. Sadly, it is the norm for these sales to be allowed. Similarly, if UK-based companies are allowed to sell arms to countries that could be antagonists in the near future, they will. Buying governments might just change their mind and decide to act against the UK, or there might be a change of government. The potential for actions against UK forces is the same. Both UK and French forces used MBDA cruise missiles during the war. (The same missiles are called ‘Storm Shadow’ by the UK and ‘SCALP’ by France.) In addition, around 230 Brimstone air-to-surface missiles were fired by the UK military, prompting the MoD into new orders to replenish depleted stocks. UK weaponry was used by both Iran and Iraq during the 1980-88 war: Iran had 875 Chieftain tanks by the time the Shah of Iran was overthrown in 1979; Iraq continued to receive UK military equipment during the war. Pakistan and India have been steady customers for UK weaponry. Sales continued regardless of the 1999 Kargil War and the stand-offs in 2001-02 and in 2008, the latter following the Mumbai attack. Both countries have been categorised by the UK government as ‘priority markets’ for arm sales, sometimes at the same time! The UK sold weapon to both Russia and Georgia prior to the conflict in August 2008. Despite the tensions between China and Taiwan the UK has sold, and continues to sell, a wide range of arms to both countries. Blatant examples are the Libya experience, as above, and arms to Argentina. UK companies supplied Argentina with a wide range of arms during the 1970s and early 1980s, both before and after the 1976 military coup. This included surface-to-air missiles, a Type 42 destroyer, Westland’s Lynx helicopters and naval radar. Staggeringly, the Ministry of Defence approved a delivery of naval spares to Argentina just 10 days before the 1982 invasion of the Falklands.